The 4 star Diana Park Hotel offers many services to meet its guests needs for comfort e quality. 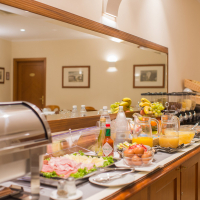 Every morning Diana Park Hotel serves an hearty breakfast including boiled eggs, cheese, cold meats, cereals, yogurt, fresh brioches, as well as a wide selection of hot and cold drinks: milk, hot chocolate, tea, cappuccino, espresso coffee, orange and other juices. 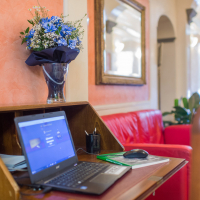 From all the rooms you can access to a free ADSL Internet connection to surf with your laptop. Tablets and cables are at guests’ disposal on request. Rooms and common areas of the hotel are also covered by a free Wi-Fi Internet connection. A PC at guests’ disposal is available in the Lobby. 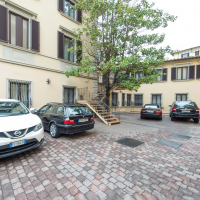 If the private parking is complete, you can leave your car in “Parcheggio del Parterre” a few metres from the hotel. 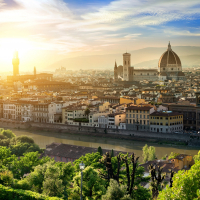 Private transfer with driver – From/to the central train station of Florence Santa Maria Novella (SMN) and from/to the main Italian airports (Florence – Pisa – Rome – Milan – Bologna). 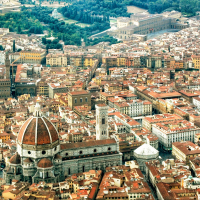 That Diana Park Hotel can organize personalized tours, for individual and small groups, to Florence’s fashion district and Tuscany outlets. Personalized trips for individuals and small groups in Rome, Venice, Pisa, Lucca, Siena, San Gimignano, Chianti area (with wine tasting), Portofino and Le 5 Terre, Monte Carlo. We try to organize trips and excursions wherever our guests wish to go. This splendid Boutique Hotel avails itself of an ever-ready staff who will suggest restaurants and itineraries; they will also book museums, tour of the city and excursions in the wonderful Tuscan countryside. Check out our last offers! The Concierge at Diana Park Hotel will ensure each guest a personalised service, tailor-made to personal requests.